Who Are the Hottest Female Race Car Drivers? Auto racing has been around for over 100 years, and the sport has been consistently dominated by men. Finally, women are starting to make an impact in NASCAR, IndyCar, NHRA, and more. 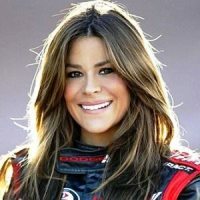 Below is a list of ten hottest female race car drivers. All of these wonderful ladies started their careers behind the wheel of one of the consumer cars you might be driving today. Check out these female drivers that are hot on and off the track!. The Top 10 Hottest Female Race Car Drivers in the world. In Portugal, Madalena Antas is known as just another female race car driver.In America, she is known as a gorgeous woman that doubles as a sports driver. I fell in love at M. The Portuguese bombshell Madelana Antas doesn’t mind getting dusty in the desert while racing tricked-out pickups on the rally circuit. When she is not destroying sand dunes and jumping trucks at 120 mph, she enjoys oil painting and flaunting her curvaceous assets in men’s magazine.